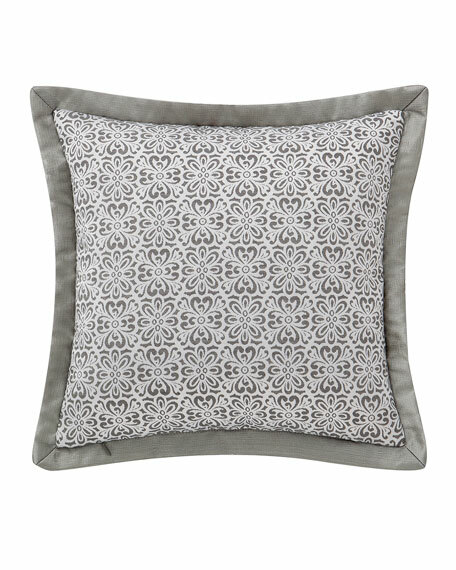 Waterford Celine Square Decorative Pillow, 16"Sq. 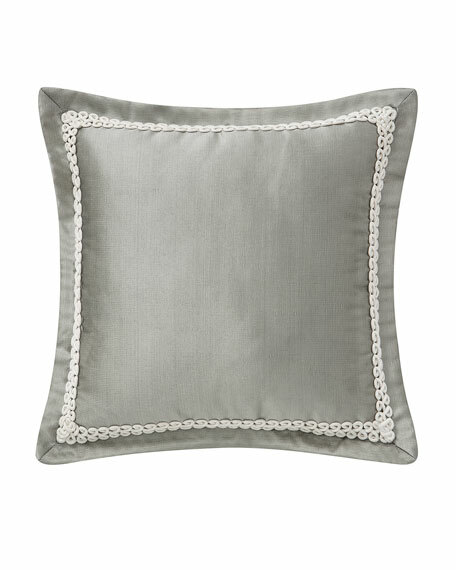 This lustrous grey Celine decorative pillow has a cord appliqué frame border in soft ivory. Wide cord trim at border.